Margin Trading is a credit line extended to you by the stock broker. 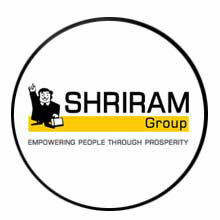 If you are interested in buying shares of SBIN worth Rs 2,00,000 but do not have enough cash, Shriram Insight helps you to complete this transaction by bringing in the balance. The finance is provided to you to the extent of the cash you hold or a percentage of the value of your equity portfolio. * To activate this facility, you simply have to get in touch with us. * The margin finance facility is made available to you once you fill up a margin finance agreement with us. The shares that have been bought and subsequently sold under BTST would be first credited and then debited from your Demat Account as per normal pay in and pay out. A customer will not be required to do anything different from a normal transaction. Margin release post selling stocks under BTST depends upon stocks’ multiple. Please check Margin Requirements page for details. * You can then pick up the stock of your choice and we will step in to help you own the stock you have been looking to buy.